Phoenix Suns will likely start training camp without star guard Devin Booker as he will have surgery on his injured hand Monday. 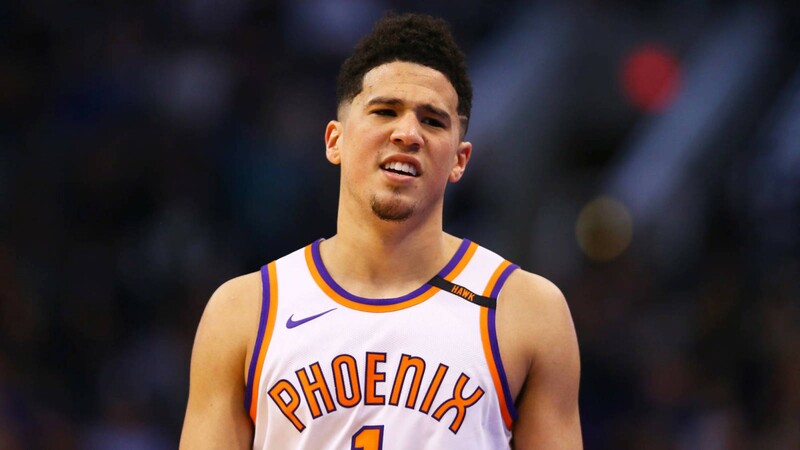 The Phoenix Suns were dealt a huge blow Sunday night, as it was announced shooting guard Devin Booker will undergo hand surgery on Monday and is out indefinitely. John Gambadoro of Arizona Sports was first to break the news. Gambadoro reports Booker will miss at least four weeks. It was also reported that Booker will have surgery in Los Angeles and is likely to miss the start of training camp. Booker missed the remaining 12 games down the stretch for the Suns as he was bothered the right-hand injury throughout the closing months of last season. The Phoenix Suns will return to Northern Arizona University in Flagstaff, Arizona for training camp from Sept. 25-28. The Suns are better with Devin Booker in the lineup versus when he is out. Booker missed 28 games in total last year. The Suns went 3-7 in a three week stretch without Booker in December of last year while going 2-10 the down the final stretch. It is hard to replace his production in the lineup. Booker averaged 24.9 points and 4.7 assists last season, shooting 38 percent from 3-point range. Booker signed a 5-year, $158-million contract extension in July. He also took home the 3-point contest crown during NBA All-Star weekend. He became the fourth-youngest player in NBA history to score 3,000 points, behind LeBron James, Kevin Durant and Carmelo Anthony. If Booker is unable to go for the first couple games of the season, the Suns will have to rely heavily on Troy Daniels and Shaquille Harrison at the shooting guard position. The Suns open the regular season on Oct. 17 against the Dallas Mavericks at Talking Stick Resort Arena.